I have managed a public forum for business flight attendants for nearly five years now. During that time I have learned a lot about how a forum works from an administrator’s point of view as well as from a participant’s viewpoint. Message board communities are a wonderful resource for people, but they do have their downsides as well as upsides. If you are applying for work in business aviation, there are some things you should know when posting anything online. Let’s explore some measures you can take to ensure that your career is not sidetracked because of a few careless actions on your part. A recent discussion on our message boards revealed something that I have known about for quite some time – if you have a blog, forum, or website and you use your real name, any information that you post about yourself could be picked up by potential employers later on. Specifically, I have found MySpace web logs that have been set up by corporate flight attendants that are interesting and informative. Unfortunately, some are guilty of listing TMI – Too Much Information – with bloggers sharing who they work for, names of passengers flown, personal opinions about people and/or companies, and so much more. I am fine with free speech and free expression, but to a point. As a forum administrator, I attempt to leave all threads online “as is” even if something said could be deemed harmful or incorrect. I look at a forum as being akin to a public square – a place for members to freely share what is on their minds. The problem that does occur is this – if you post anything online and you use your real name to identify yourself with your words, then something you say could be offensive to a potential employer. Business aviation companies are very sensitive -- and rightly so – as to what is shared about people publicly. Safety concerns and privacy are two things which come to mind. If you violate either one of these points you could find yourself removed from consideration for a job. What if you long ago deleted harmful information? Could that come back to haunt you? Yes, absolutely. Even if you erase pages from your hard drive or remove them from the internet, the search engines typically keep record of what you wrote for many years. Pages are cached (stored) and can be easily retrieved with a little bit of work on the part of anyone who knows how to do this. 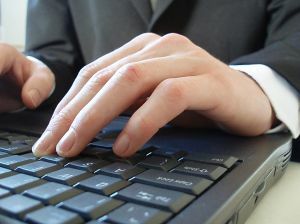 In addition, software is used by some companies who can retrieve every occasion of something you wrote online. Be anonymous: If you are a forum user or a blogger, a made up screen name is best. Limit the amount of personal information that you share with others. Keep it simple: You may have strong opinions about an elected official or a company, but someone, somewhere could be offended by what you say. Never mention passengers by name and please don’t pepper your site with foul words – you’ll be labeled a potty mouth and dismissed as a serious job prospect. Finally, a little bit of paranoia on your part can go a long way. You don’t want to have your career derailed over some regretful, but unforgotten words you posted long ago that have since been dug up by others.